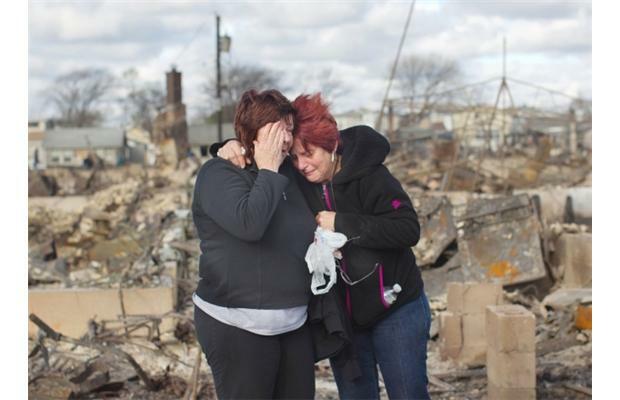 As the storm clears and residents of the East coast begin the long clean-up process, estimates of the damage from hurricane Sandy are coming to light. The insured losses alone could reach anywhere from $7-$15 billion, according AIR Worldwide. IHS Global Insight estimates overall damage costs at $20 billion and business losses range from $10 to $30 billion. While these predictions are significantly lower than the losses that resulted from hurricane Katrina (which totaled $135 billion), they’re indicative of the type of costs cities will incur from extreme weather events caused by climate change. The National Roundtable on the Environment and the Economy issued a report this past May in which it predicted annual costs of climate change for Canada of about $5 billion a year. The need for adaptation becomes all the more crucial as climate change plays out in the coming years. The federal government will spend $150 million over the next five years to evaluate the effects climate change will have on Canada. ACT’s 2009 reports on Climate Change Adaptation and Extreme Weather outlines policy recommendations to address emergency management and infrastructure planning.